On November 7, 2018 Matthew Coghlan received 52% “yes” votes in Tuesday’s judicial retention election. He needed at least 60% to stay on the bench. This marks the first time in 28 years that a Cook County judge has been voted out. This historic victory is a result of months of dedicated work by a grassroots coalition of attorneys, activists, organizations, and elected officials. The Coalition to Dump Coghlan brought out 280,000 people to vote no on Coghlan, and garnered more than 115,000 “no” votes against a judge than in any retention election in 3 decades. Since August we have been educating voters across the county about ex-judge Matthew Coghlan through teach-ins, canvassing, phone calls, social media, and pushing the Cook County Democratic Party to use their power to urge voters to vote no. In the past, judges have tried to appear “tough on crime” for public appeal and to win elections. This election a record number of people showed up to vote no because of Coghlan’s harsh sentencing record; his treatment of Black and Brown defendants and attorneys; his treatment of domestic violence victims; and his involvement in framing two Latino men for murder. This election sends a message to the Cook County judiciary: We are watching you. We are watching how you assign bond, how you sentence Black and Brown defendants, how you sentence police officers, how you treat domestic violence victims, and how you address Black attorneys and defendants. “Tough on crime” sentencing is not good for our people or our communities, and it is no longer the safe political stance. And we already organizing for the next retention election cycle. We’d also like to thank Injustice Watch and the Chicago Sun-Times for their investigative pieces looking into Coghlan’s corruption as an Assistant State’s Attorney. Most of all, we want to thank Armando Serrano and Jose Montanez, who spent 23 years in prison because then-prosecutor Coghlan helped frame them for murder. Without you sharing your painful stories we wouldn’t have galvanized so many voters to Dump Matt Coghlan. This November we have the opportunity to make history. It has been 28 years since the last time a judge was voted off the bench in Cook County. Since 1990, judges have coasted to election whether they are truly unbiased or even competent. Judges have an incredible amount of power over our lives. They can jail people pre-trial, set sentences, rule in child custody, power of attorney, and landlord-tenant cases. They also have the power to enact meaningful criminal justice reform such as the elimination of money bail which unfairly targets low income defendants. While many of the judges on the ballot are problematic, we are targeting Judge Matthew Coghlan because of his long history of corruption and biased sentencing. He is unfit to sit on the bench. With this in mind, We are asking you to help us make history and vote NO on Judge Matthew Coghlan. It has recently come to light that former State’s Attorney and current Judge Matthew Coghlan participated in the framing of two innocent men, Armando Serrano and Jose Montanez. Coghlan helped coerce a witness then arranged payments of cash, drugs, and illegal conjugal visits. When confronted with this information, Judge Coghlan attempted to deny involvement but was caught in a lie by Sun-Times reporters. Wrongful convictions have cost Illinois hundreds of millions of dollars and we must hold those responsible accountable. As a judge, Coghlan has continued to target the vulnerable and shield the powerful. Coghlan sentenced a police officer to only one year’s probation for smashing a woman’s head into a bench. The impact had such force that she needed facial reconstructive surgery, Coghlan could have given him up to 5 years in prison. Shortly after, Coghlan sentenced a Black man with prison time for possession of a marijuana joint on his front porch because he happened to live within 1000 feet of a school. These two decisions, coming within a month of one another show just how much power and discretion judges have. And Coghlan is not using that power to dole out true justice. We have had enough! 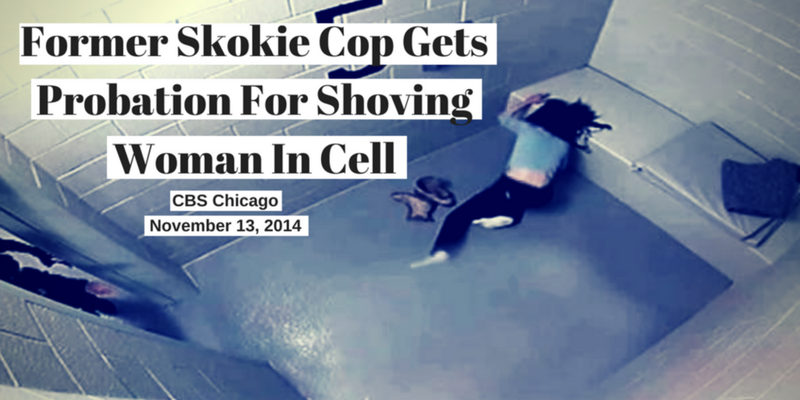 Join us in telling Cook County judges; this kind of bias has no place in our judicial system. This is the year we hold them accountable. Early Voting starts September 27 and runs until election day, November 6, 2018. For updates and additional information, please follow the campaign on Twitter and Facebook. You can also contact us at elvia@japacil.com to arrange a teach in for your community organization, church, school, or block club to learn about this campaign and the importance of judicial elections. Thank you and see you at the polls!